I found a minor problem recurring but embarrassing. I have a Focusrite 18i20 Gen2. It often happens that I have "System settings / Options ..." ASIO input routing not loaded correctly when starting Potato. The loaded routing configuration is in conflict with my External FX Patch return. Screenshot loaded at startup. intz111 wrote: 1. 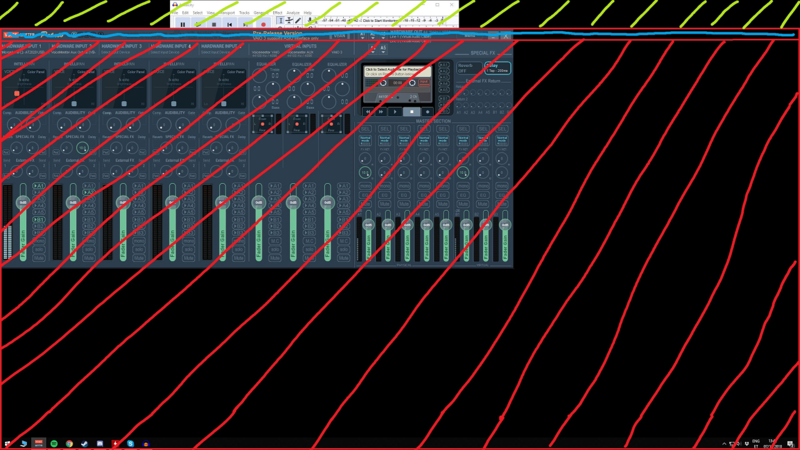 The Voicemeeter window seems to overlay the entire desktop, making everything in the background unusable. Red is the area Voicemeeter takes up, although the graphical bit is quite smaller. This makes the whole red area unclickable. Blue is Voicemeeters taskbar, i can drag the app with it, even when i click outside of the Voicemeeter GUI. Green/Yellow is where i can click and interact with desktop or other apps. This problem disappeared after I bought the license. is there an difference between the paid and the free version? Pitz wrote: is there an difference between the paid and the free version? You can try it without any limitation, but should donate if you use it regularly. Potato has a little nag screen that pops up every 6 hours and restarts (interrupts) the audio engine, to remind you to donate. Banana and the standard version have no nag screen. But both are donationware, too! There is an issue with the patch insert settings that are saved to profile files and remembered after a restart. When you save a profile in Potato (3.0.0.7), the settings for some of the inserts of in7 and all of in8 are never saved in the xml file. The same happens if you close and restart Voicemeeter, the patch insert settings are reset for the inserts of in7 and in8. First please let me express my admiration for the amazing Voicemeeter tool. 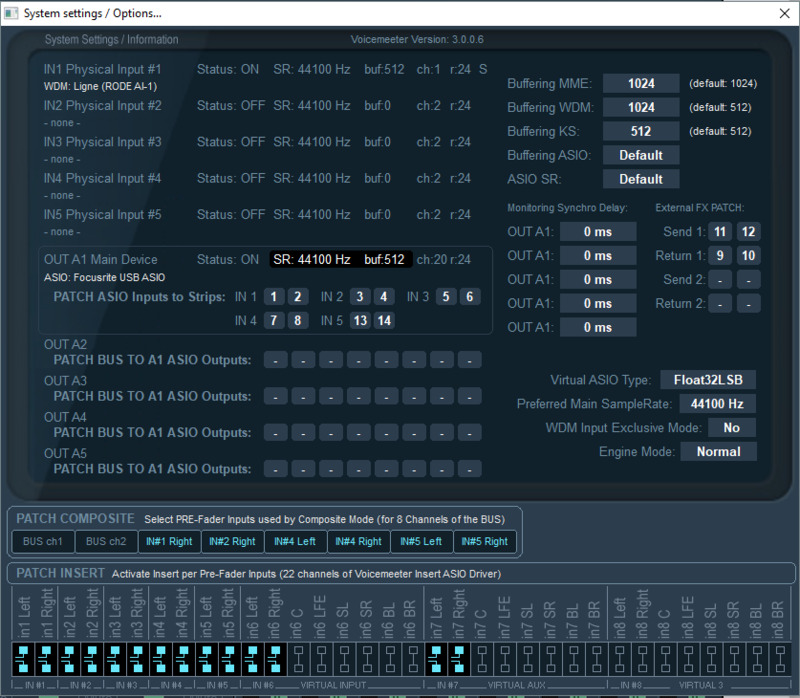 It even integrates perfectly with Sonarworks Reference Systemwide. 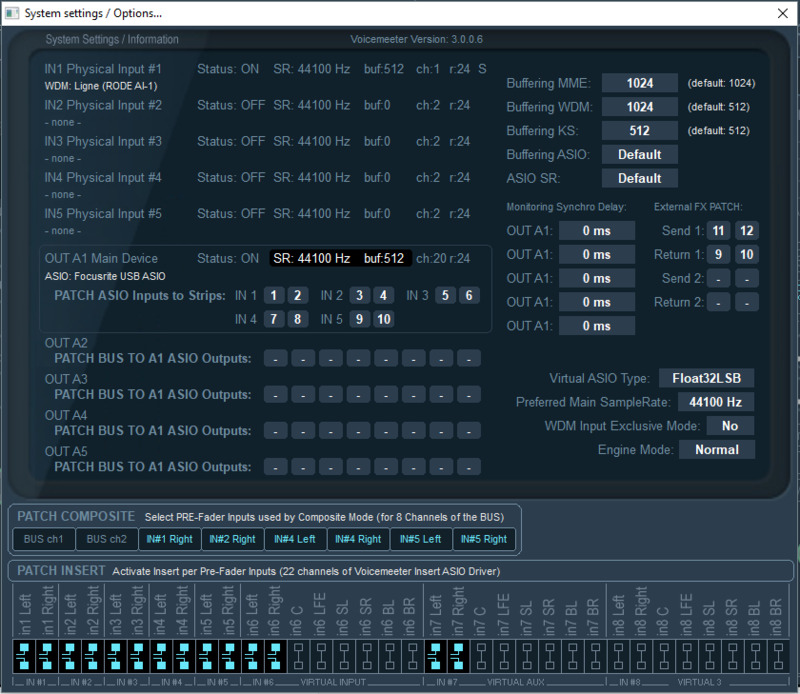 Am I overlooking something, or is there only a graphic EQ and no compressor as insert effect available? Why is there no compressor?